There will be times in life when you need more cash than you can get from borrowing from family and friends. Luckily for you, personal loan approval times are getting shorter. Here are some of the fastest approval times for personal loans for your quick decision! If you have a small time buffer, you can consider opting for the Alliance Bank CashVantage Personal Financing-i. It offers a 48-hour approval time with a maximum loan amount of RM150,000, to be repaid with interest within a maximum of 7 years. Better yet, you can enjoy a sweet low interest rate of just 3.99% per annum if you repay within 1 year! Otherwise, the interest rate charged can go up to 14.78%. The Hong Leong Mach IOU Personal Loan promises a much faster loan approval time, with just 1 hour from start to finish. 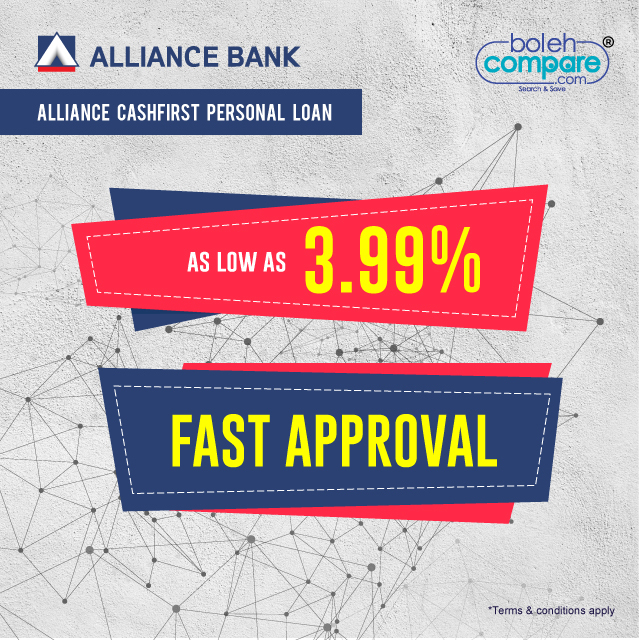 It has a shorter loan tenure but larger maximum loan amount than the Alliance Bank CashVantage Personal Financing-i, capped at RM250,000 to be repaid with interest within a maximum of 5 years. It has an interest rate between 7% and 13.5% – but it also offers a juicy incentive to stay on track with your loan installments, with a 20% cashback promise (subject to terms and conditions). Citibank allows you to borrow up to 10 times your gross monthly income, with a loan amount between RM5,000 and RM150,000. It is also supposed to be approvable in minutes. Unlike most other personal loans which state the specific loan tenure you choose up-front, Citibank Personal Loans allow you a flexible loan repayment tenure between 2 to 5 years. The interest rate for Citibank Personal Loans range between 5.88% and 9.80% per annum. With a 10-minute approval time (to allow you to fill up the forms), approval for the RHB Easy-Pinjaman Ekspres is pretty much instant. However, this quick approval does come at a cost in the form of higher interest rates. Expect your interest rate to be between 8.18% and 14.52%, with the loan to be repaid plus interest within 5 years. If you need money in a pinch, this personal loan might just be for you. Each of the fast personal loans have their pros and cons. The Alliance Bank CashVantage Personal Financing-i is perfect for short-term, 1-year repayment personal loans thanks to its low interest rate for the first year. The Hong Leong Mach IOU Personal Loan gives you a larger maximum loan amount at RM250,000. Citibank Personal Loans offer a flexible loan term. RHB Easy-Pinjaman Ekspres gives you pretty much instantaneous loaned money at your disposal. All of them have pros and cons, so the final decision really depends on you. Same-day personal loan application approvals are no longer a thing of the past, and you even get to shop around for the personal loan of your choice! GST and SST: The Difference and How It Will Affect the Cost of Goods Sold. See Red with the OnePlus 6!